She was born and raised in Palos Heights and moved back to her home town with her family in 2012. She is on a personal journey of giving back to what yoga has done for her.. with that, Revival was born. The need for a space with functional class times and offerings; the location found itself in her home town of Palos Heights. Megan's love for yoga started over 19 years ago when she realized the benefit of the physical aspect after the birth of her first child. It wasn't until 2008 when she fully appreciated the eight limbs of yoga; the mind/body connection and what a powerful impact it has on life. Through completing the 200 hour teacher training program at Moksha Yoga Center in Chicago, IL and under the guidance of Daren Friesen; her love and knowledge of the yoga practice grew. She is grateful to have studied with master teachers; Seane Corn, Tias Little and Aadil Palkhivala. Later, she completed Catherine Ashton's Yoga Trauma Informed program, to gain knowledge and tools to help those can be have suffered different levels of trauma in their life. To add some diversity to her teaching style, Megan became a certified Aerial Yoga teacher, in addition to completing and receiving a certification in Yoga Sculpt with Nicole Kowalski. Megan is a graduate from the Soma Institute for Clinical Massage Therapy in Chicago, where she obtained her license for Massage Therapy. Her mission for Revival Yoga is to hold space for everyone open to the fact that no matter what a person is going through, life is beautiful. Her promise to each student, is through the effects of practicing yoga and meditation, you are able to find your highest true self. Love, love and when you're done loving, love more. After 20 years of balancing career, family and expectations, Allison took a leap of faith to be more present at home and at ease in her life. Allison's passion for yoga became a central focus as she completed her training with Brenda Temme and Life Power Yoga. Allison believes in the healing power of yoga, the strength of its community and impact on the world. She's committed to empowering others to see themselves through their own eyes, finding peace through breath and cherishing the present moment. Allison keeps her teachings fresh with meditation, workshops and practicing with fellow Revival teachers. Her classes are dynamic, powerful and full of heart! Wife and a mother of two children, who strongly believes in the mental, physical and spiritual healing power of yoga! Born and raised in Poland she immigrated to the US at the age of 17 and instantly knew this is where she wanted to be. She has been practicing yoga since 2010 and is a certified yoga teacher through LifePower Yoga since May of 2015. By meditating and practicing various forms of yoga, she discovered, that this practice has no final destination, but rather it’s never ending life’s journey! Journey of the Self, through the Self, to the Self! Yoga practice has transformed her into a better, healthier version of herself and it helped her overcome stress and anxiety which she has been dealing with since childhood. Yoga has given me the tools I needed, to learn how to overcome the fear of failure and judgement, how to believe in myself and how to find courage to trust myself and my talents! Through yoga I've learned to accept myself for who I am, and most importantly I've learned that by embracing my flaws and imperfections, I was able to do the same for others. To me, Yoga is Love and when you have love, you have everything." She is eager and truly honored to share the love, energy and passion she has for yoga, with full understanding that we all practice yoga for our own unique reasons! So come as you are and rediscover your true beautiful self all over again. Jessie has always had a very active lifestyle. Her hobbies include long distance running, snowboarding, paddle boarding, and kickboxing to name a few. 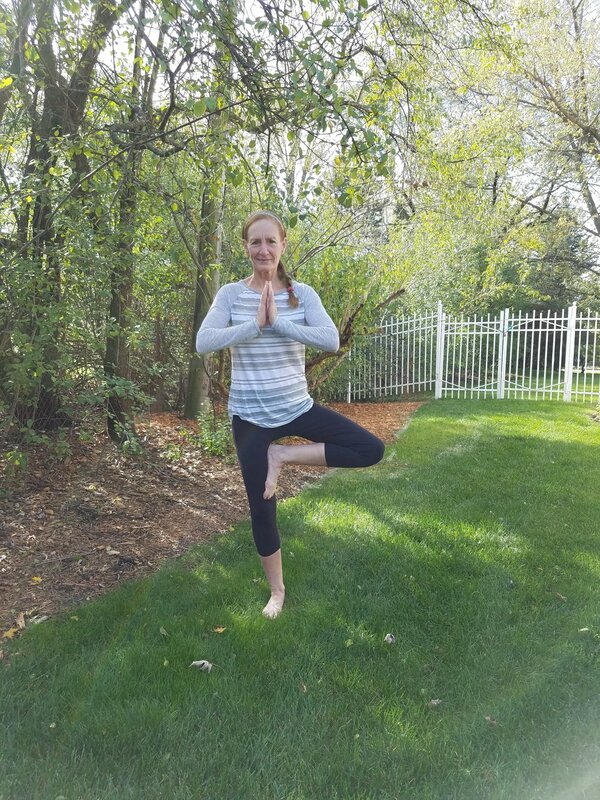 Jessie found yoga while preparing for her first half marathon. Looking for a new and fun way to strengthen and challenge her body, Jessie took her first heated yoga class. She found that a regular practice made her long distance running and other activities even more enjoyable! Jessie loves the physical benefits that yoga offers and the peace and clarity that yoga provides. Jessie completed her 200 Hour Yoga Teacher Certification through CorePower Yoga in order to become an instructor and share yoga’s many amazing benefits with you! Natalie discovered the benefits of Yoga the first time she stepped onto a mat. She is influenced and inspired by her peers, teachers, nature and travels. She loves helping her students explore the balance and peace that yoga can bring not only on the mat but off the mat as well. Through meditation, asana and pranayama, her goal is to have everyone leave class feeling renewed, refreshed and full of self-love. Natalie's calm and grounding energy will help you feel connected to the present moment and the environment around you. Kitty is a former school teacher, who has followed her passion for yoga into a calling to help and support others. She knows that yoga can touch everyone in unexpected and wonderful ways. She is happy to share the experience of connection that yoga creates through breath, meditation, movement, and mindfulness and to witness in others, the enhanced inner peace, clarity, and happiness that a yoga practice brings. Her practice and training in Chakra Balancing and Ayurveda enhance her ability to assist others in creating harmony and balance within. Kitty’s clear guidance and compassionate nature will inspire you, strengthen your confidence, and bring you into your natural state of calm. Adrean first discovered yoga while transitioning out of a hectic work environment. His first class was life changing, & he instantly decided to make the practice of yoga his new nine to five. Having intensely practiced Hatha, Ashtanga & Vinyasa for the past two years, Adrean has cultivated a powerful physical practice with deep connections in yoga mythology and philosophy. Having completed Inner Jasmine’s Teacher Program, Adrean is excited to share his love for yoga with others. Students who join Adrean’s class will be immersed in a physically challenging practice that also encourages spiritual growth & nourishment. It is his goal to aid fellow yogis in their own yoga journeys through breath, movement, meditation & love. Jim’s journey to yoga started in 2012 when he stumbled into an advanced vinyasa class at a Lifetime Fitness in Chicago’s South Suburbs. Since then, it slowly evolved from an occasional hobby to an everyday part of his life. After deciding to take on a smaller role with his family’s construction company, Jim found a profound enjoyment in exploring all that his yoga practice continues to offer him. Jim completed his 200 hour teacher training at Zen Yoga Garage in Chicago in the Winter of 2018 and enjoys bringing an accessible practice to the yoga community. Yoga’s power to transform darkness into light guides Juliette’s yoga philosophy and her enthusiasm for yoga knows no bounds, with an education that includes 200 RYT, Yoga Sculpt and Aerial Yoga certifications. Her free-spirited approach to being on the mat may find you giggling more than you’ve done in most yoga practices and that’s intentional. Her passion for the healing power of yoga is evident especially in her dedication for adaptive yoga outreach. Her Heated Sculpt Fusion kicks off our Sunday classes bright and early at 7:30am for 75 minutes of freedom and fun that includes pushing you out of your comfort zone. From the moment that Liz creates sacred space, you know you are in for an experience that allows you to be just as you are–perfectly imperfect. She began her practice three years ago. After discovering the amazing physical effects yoga had on her body AND also the life changing shift in perspective brought on by the practice, she knew she had to share this with others. Trained at LifePower yoga, she received her 200 hrs with Brenda Temme. Her love for movement and finding yourself in your body is evident in her thoughtful sequences, always accompanied by music that is uplifting. Outside of her yoga world, she stays busy being the mother of three spirited individuals. Nicole considers herself a lifelong student, both on and off her mat. She strives for continuous growth and has discovered transformation through her yoga journey – physically, mentally, emotionally, and energetically. She believes in the power of connecting breath, mind, heart and movement through yoga. An athlete all her life - playing volleyball, soccer and marathon running - Nicole was devastated after a volleyball injury that led to two ACL knee surgeries and difficult rehabilitation. Yoga has brought tremendous healing, strength, serenity and awareness in her life. Nicole’s compassion, positivity and love of music shine through in her classes and she hopes to help others discover their edge and their own transformation through yoga. Nicole invites everyone to join her in “being the change that we want to see in the world” and living their yoga. What started as a 30 day yoga commitment has blossomed into an undeniable passion to share yoga. Heather completed her YTT with Brenda Temme through Life Power Yoga. She loves to bring her fiery open spirit to the studio by sharing challenging, uplifting classes to flowing upbeat music. She strives to share yoga with an intention of connecting with others to tap into that energy that is in all of us to unlock your authentic self...one breath at a time. Jennifer is a momma of three beautiful babies, soon to be four, that reveal an infinitely growing love deep within that's never been explored. Yoga has filled her life with a similar love. Before yoga, Jennifer was passionately devoted to furthering her physical limits in running. She completed many ultra-marathons that left her feeling very accomplished but not fulfilled. A very challenging injury guided her into a hot yoga class. There was an immediate connection to the muscular energy the class embodied, but as she practiced the organic energy brought the true balance to her life and self love finally began to surface. Jennifer knew at that moment that she wanted to share this discovery with everyone. She grew her practice and went into yoga sculpt teacher training at Yoga By Degrees, 200h teacher training at Chicago School of Yoga, 2 week intensive Ashtanga training and Yoga to transform trauma. Jennifer's deep love for bringing hope to those in a constant state of suffering is every reason in my heart to explore yoga's truth behind healing. Alex started practicing yoga about five years ago when he was attending school in Columbia, Missouri. A hot yoga studio opened down the street and he thought he’d give it a try as a way to cross train. The studio combined both styles of Bikram and Vinyasa into one set sequence. After a few months he was hooked. He started practicing five to seven times a week and discovered the benefits of yoga, including, helping him work through depression, improving his sleep patterns, and boosting his energy. Getting back in shape was just an added bonus. Alex says it was humbling to be challenged both physically and mentally at something he could do each and every day. He was thrilled to find out the studio was hosting a training. In June of 2013 he took the plunge in to a one month intensive training. Over the next 200 hours his main focus was to find a deeper understanding of exactly why yoga affected him so positively, so he could pass that knowledge on. Alex is passionate about helping his students set goals and guiding them on their yoga journeys so that they can discover more peace and balance in their lives. He is very thankful for all his friends and mentors in the yoga community who encourage and inspire him in his own practice. Namaste. Since childhood Leslie was always involved in sports and fitness. Her over abundance of energy was very fitting for an active lifestyle but challenged her ability to find inner peace. When she first stepped on her mat 10 years ago, she was searching for more grounding her in life. She instantly fell in love with the physical practice of vinyasa; the beauty of breathe and movement to uplifting beats nourished her from the inside out. Her dedication to the practice and its teachings has helped her open her heart to the world in ways she never expected. Her journey has taken her down many untraveled paths from coast-to-coast as well as a period of years living overseas but it's through yoga she finally realized that what they say is true...not all who wander are lost. Leslie completed her 200 hour teacher training with LifePower Yoga. It is through a heart-centered practice that she strives to make space for students to find their own freedom to wander and fall in love with themselves every damn day. She can usually be found with her music playing much too loud! Danielle took her first yoga class about 10 years ago at a local gym. She has since been drawn to the physical aspect of yoga, but with a consistent, meaningful practice beginning in 2016, she has discovered the benefits of yoga, both on and off the mat. Danielle took her first aerial yoga class in 2017 at Revival Yoga and was immediately addicted to the balance between freedom and support that an aerial practice offers. Danielle became certified to teach aerial yoga in April 2018 and will complete her 200 hour Yoga Teacher Training in June 2019. Danielle is beyond excited to share what yoga (on the mat and in the air) has done for her. Off the mat, Danielle is a special education teacher. She prides herself in her ability to see past her students’ challenges in order to help them find the strength within themselves to be as independent and successful as they can, both in the classroom and out in the world. A Xena the Warrior Princess look alike, Caley loves teaching Vinyasa yoga that builds into a peak pose. Her teaching style focuses on challenging yogis not only in flexibility, but also in strength. She has always been into fitness, being a three sport athlete in high school and I played softball in college. After college, she was looking for other physical activities to fill the void that sports once held. Working-out has always been a passion of hers, and she decided to share that passion by working as a personal trainer. I have been working as a personal training for over seven years. Wanting to expand her knowledge base on fitness, she went through yoga teacher training at CorePower. After completing the course, she fell in love with the practice and how it made her feel. Every time she practices she feels strong, beautiful, graceful, and free. Through her classes, she likes to enable others to find an outlet for stress release. She has a Bachelor’s degree in Biology and is a recent graduate from Rush’s Master Nursing program. She enjoys working towards health promotion and providing holistic healthcare. Life is all about how you live it, and she’d rather live a healthy lifestyle and teach others to do the same.